Nutritious and delicious! The Purple Rose in Fort Bragg, on California’s north coast. Gay owned and operated. Great menu, fun ambiance, cute chef, and an extensive Tequila bar. Enjoy! 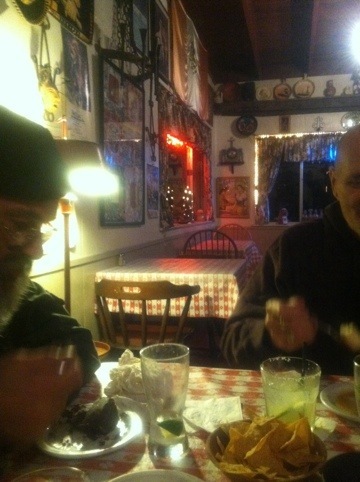 This entry was posted in Food, iPhone, Mendocino County, Northern California and tagged Food, Fort Bragg, Gay, iPhone, Purple Rose, Restaurant. Bookmark the permalink. They are actually in Cleone, just north of Ft. Bragg. They are reviewed on restaurant sites, bur don’t seem to have their own.